For my last stop in the Philippines, I stopped by Port Barton, a beach and scuba diving town similar to El Nido, but much less developed, much less touristy. To use a well-worn cliche, it’s like El Nido from a decade or two ago. And I stayed here for a couple of days, just relaxing, enjoying the sunsets, and doing not much of anything at all. It’s that kind of place. El Nido is named after the swifts that live on the nearby cliffs, whose nests used to be harvested to make soups. Nowadays, however, it’s known as more of a tourist destination, with great scuba diving, beaches, and seascapes. 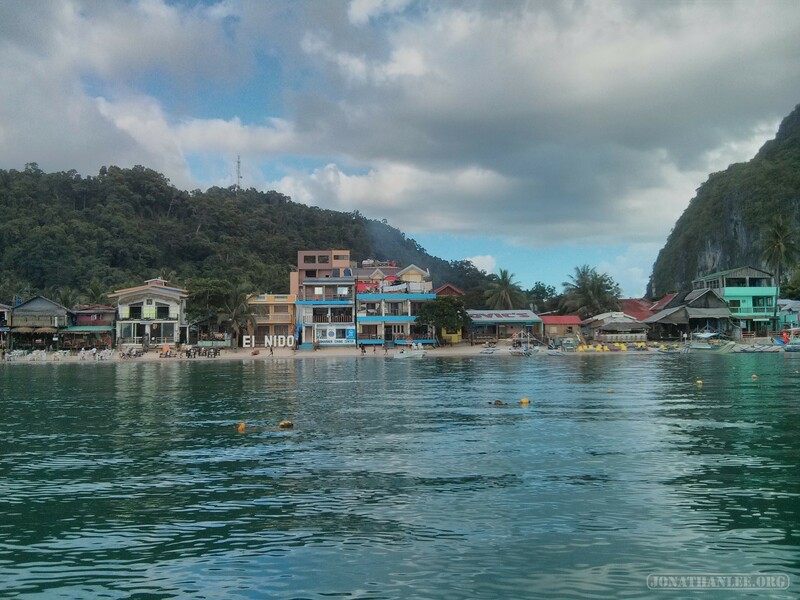 And after suffering through the lack of electricity at Sabang, El Nido is a welcome change, having electricity from 2PM to 6AM – though many places also have backup generators.